Act #34: Give them more to strive for. Since I've been blogging daily for over a month, there are moments when I know that I am going to tick some of my own friends off, particularly fellow moms. That I'm going to put down on paper, words that are so unbelievably un-American, that someone is going to think I'm the coldest, most frigid woman that ever bore a child. Disclaimer: This, is one of those posts. Forgiveness sought. If you are like me - the 1% of the nation who doesn't even know who's playing in the Super Bowl, you too most likely have no idea who J.J. Watt is. Please allow me to enlighten you. Mr. Watt is a a football defensive end for the NFL team, the Houston Texans. At least that's what Wikipedia tells me. And why is he the main topic of today's blog you ask? Well, this week Mr. Watt got down on one knee, diamond in hand, proposed to the girl of his dreams, and whisked her away to her wedding day, where they danced romantically to their first song. A Justin Beiber song. Odd selection for a first dance, right? Not if you are six years old. You see, last week a cute little six-year old girl by the name of Breanna, became an internet sensation when her parents posted a video of her professing her love for Mr. Watt, crying because she wasn't old enough to marry him. She apparently had to be at least 25 before she could do so. A female adult, presumably her mother told her that she was sorry, that she thought little Breanna was beautiful nevertheless, and added her own affection towards Mr. Watt, "He's handsome, isn't he?" 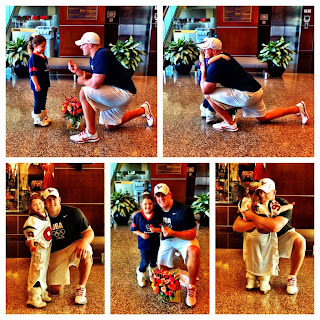 Well the dashing Mr. Watt found little Breanna and showed up with some flowers, a ring-pop, a white #99 jersey, and asked her to be his pretend wife for the day. The nation was captivated by this overload of cuteness. Mr. Watt was a hero and little Breanna got her dream. Or did she? Well, let's see what little Breanna, or all 6-year old girls for that matter, actually "got" that day. Affirmation from her mother that because she was "beautiful" - not smart, or curious, or even funny - she would be OK even if she was still too young to marry. Affirmation from society that heartbreak over unrequited love of a grown-up, adult man more than 4 times her age, is perfectly normal, even cute. Affirmation that her happiness depends solely on prince charming showing up with a ring to rescue her, and not in her own abilities to say, make a snowman, reach the last level of Angry Birds, or by golly, score a touchdown herself! Affirmation from the rest of us who posted and re-posted this story, that her most notable accomplishment in her tender, young life, had nothing to do with who she was, but everything to do with who she wanted to marry. Affirmation that the qualities a woman should seek in a future mate are rugged good looks, athletic prowess, and swift, sweep-you-off-your-feet romance. Affirmation that as a little girl growing up in a world of prince charmings, pretend weddings, and happily ever afters, finding a handsome man to marry should be your highest aspiration. And until you do so, you will not be fulfilled. As soon as we put my son in daycare when he was just three months old, teachers, other moms, immediately began to refer to the little girls around him as "Jack's girlfriends". As he grew, some would talk jokingly about future match-making and marriage possibilities. Some would later ask my 3-year old toddler if he had a girlfriend in school. Innocent as these seemingly cute remarks are, day after day, year after year, we are sending a clear message to little girls, and little boys about their expected future gender roles. About our own personal values towards traditional marriage. About the definition of heroism, hero worship. About how our very self-worth, with women in particular, is often defined by our capacity to attract the attention of others. So call me uptight, call me frigid. But this marks year number 6 of us not permitting our son to date or to be thrown into the kindergarten match-making pool. Year 6 of us not permitting him to view his female classmates as potential marriage material, but instead, equal and capable playmates - just like the rest of the boys in his class. I don't have a daughter, but if I did, that video would never have made it for mass consumption and entertainment. 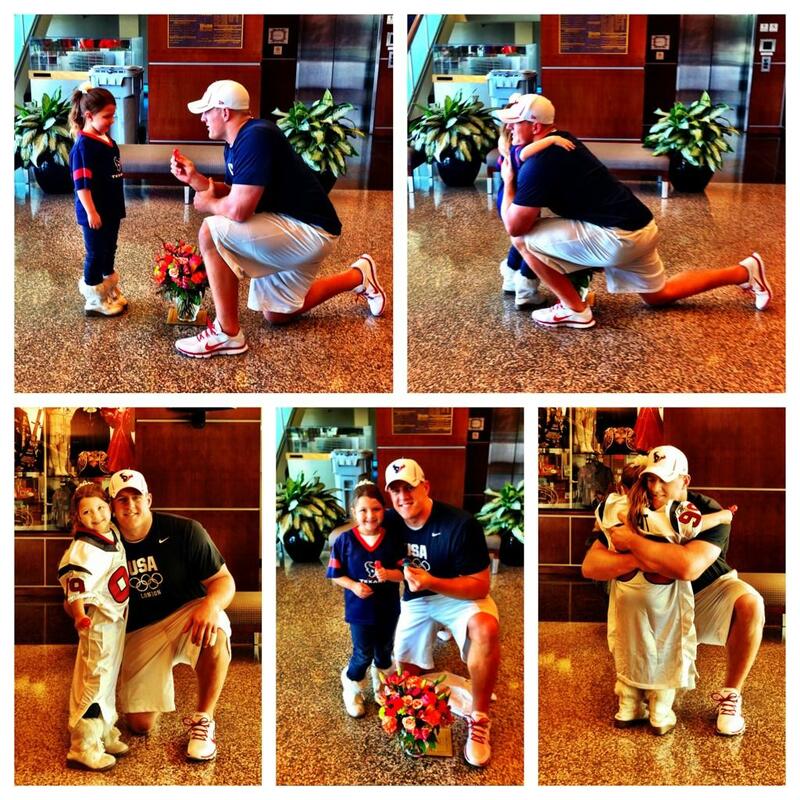 Who are we kidding - my kid would have no idea who J.J. Watt was in the first place. But I do have a son, who interacts with girls daily. And it is my hope to raise him in a world where girls like Breanna will be allowed to dream a little bigger, dream a little differently. Dream for herself, rather than for J.J. Watt.